U.S. President Donald Trump’s administration has reportedly carried out America’s first drone strikes targeting al-Qaeda terrorists in jihadi breeding ground Libya last weekend, suggesting a possible expansion of the United States mission in the war-ravaged nation. “The United States will not relent in its mission to degrade, disrupt, and destroy terrorist organizations and bring stability to the region,” U.S. Africa Command (AFRICOM) said in a statement on Monday, reports Military.com. “These terrorists have used safe havens and freedom of movement in Libya to launch external terror attacks into neighboring countries,” AFRICOM added, noting that the U.S. military carried out the operation in coordination with the United Nations-backed unity government in Tripoli. North Africa is home to al-Qaeda in the Islamic Maghreb (AQIM), described by the Foundation for Defense of Democracies (FDD) think-tank as the “wealthiest” branch of the international terrorist group. AQIM generates millions of dollars annually through drug trafficking linked to violent Latin American cartels, including the U.S.-designated terrorist group Revolutionary Armed Forces of Colombia (FARC), and other criminal activity, revealed a study by FDD. The U.S. military has acknowledged that AQIM works with Latin American drug cartels. In 2016, FDD warned that the U.S. military’s single-minded focus on the Islamic State (ISIS) in Libya had allowed al-Qaeda to reach unprecedented strength in the country. Al-Qa’ida in the Lands of the Islamic Maghreb (AQIM) in Libya maintains a low profile yet still aims to use illicit means to move fighters and weapons and focuses on building influence within Libya’s various extremist groups. … Libya remains politically and militarily divided, with loyalties shifting based on tribal interests and personalities involved in the struggle for power. Given this turmoil, the risk of a full-scale civil war remains real. The strikes in Ubari appear to mark the first known attack carried out deep into Libya’s southwestern region where AQIM has long operated along the country’s border with Niger and Algeria. U.S. troops killed two al-Qaeda jihadists during the attack, reports Homeland Security Today. AFRICOM did not indicate whether or not AQIM is gaining strength in the region, a development that could fuel an escalation in U.S. operations. Left unaddressed, al-Qaida could continue to inflict casualties on the civilian populations and security forces, and plot attacks against U.S. citizens and allied interests in the region. In coordination with Libyan Government of National Accord, U.S. forces are conducting ongoing counterterrorism operations to degrade terrorist organizations’ abilities to recruit, train, and plot terror attacks. According to the latest annual assessment of foreign terrorist organizations conducted by the U.S. State Department, AQIM’s exact manpower was unknown as of the end of 2016. Until now, the United States has been focused on bombing the ISIS in the North African country, deemed a “fertile ground” for jihadi groups by several news reports and analysts. Libya descended into chaos after the Obama administration-backed overthrow and execution of dictator Muammar Gaddafi in 2011, creating a vacuum for ISIS and other jihadist groups to fill. Meanwhile, the U.S.-backed Government of National Accord has been unable to establish control. Although U.S.-backed militias pushed ISIS out of its Libya’s coastal city of Sirte, once considered the group’s most significant stronghold outside Iraq and Syria, American and local military officials believe the terrorist organization still poses a threat and has regrouped. Since President Trump took office, the U.S. has launched eight counterterrorism strikes against ISIS, reports Homeland Security Today, adding that the American military carried “nearly 500 airstrikes” over several months in 2016 alone to push ISIS out of Sirte. Military.com notes that the strike against al-Qaeda comes as AFRICOM is intensifying its operations in North Africa, expanding surveillance activities and considering carrying out strikes in the broader Sahel region. 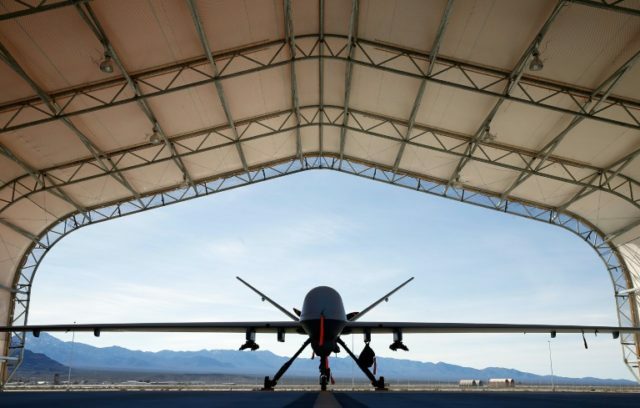 “In the central Niger city of Agadez, the U.S. military is developing a new drone site that will extend its reach into southern Libya,” the news outlet reports. “The base is expected to be operational later this year. The Nigerien government authorized the armed drone flights in the wake of an October ambush that killed four U.S. soldiers,” it adds.